Established in 2006, the Port Mayaca Polo Club was designed and built by Stephen Orthwein, former Chairman of the United States Polo Association and a member of the Executive Committee of the International Polo Federation. The Club has five Championship fields and club barns with paddocks to stable over 200 horses. We recently added 2 new Celebration fields which will be ready in 2016. Port Mayaca Polo Club features a world class facility and promotes both family oriented and highly competitive polo from December to April. 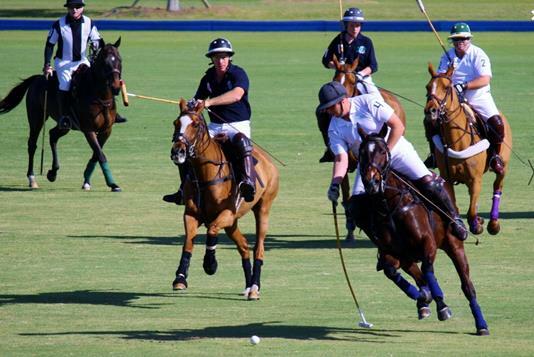 The club also focuses on Junior Polo, Women’s Tournaments and International Competitions. The Orthwein family has been playing polo for three generations and has been intimately involved in developing polo in south Florida, and the entire United States, with close connections to the St. Louis Polo Club, Greenwich Polo Club, Atlanta Polo Club, Gulfstream Polo Club and Palm Beach Polo. The Port Mayaca Polo Club is a world-class polo destination for the next generation of players.